At the same time, I’ve been working on Trapezoid, a design by Kirsten Johnstone for Shibui Knits http://www.shibuiknits.com. The pattern called for Shibui Merino Alpaca, but I decided to knit with Filatura’s Zara 8. 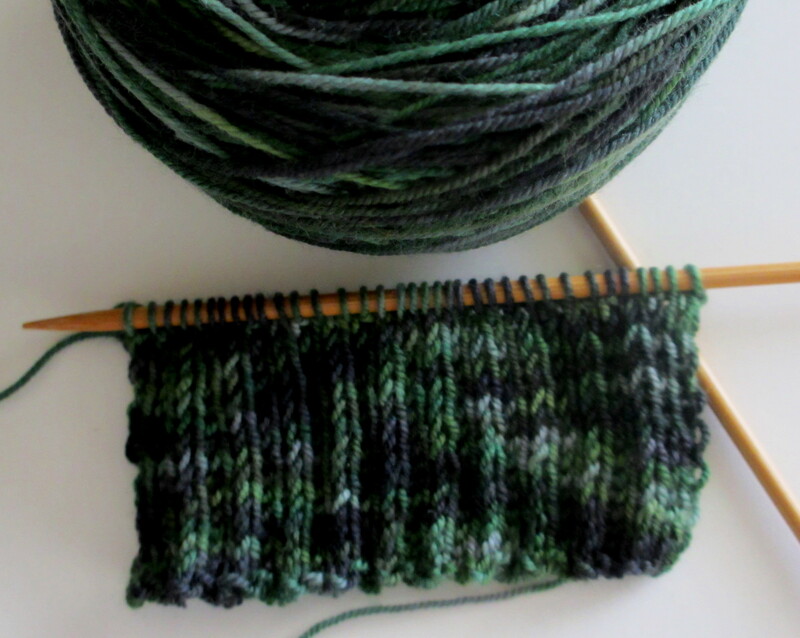 Knitting in a twisted stockinette stitch using Zara 8, visually creates a fabric of texture and dimensionality. I’m trying to decide whether I’m going to complete the sleeves in a 2 x 1 rib using sock yarn as the pattern suggests, or finish the garment as a vest. On one of my shopping for yarn days, I found Ella Rae sock yarn, a wonderful compliment to the garment, if I decide to incorporate the sleeves.